One of the research foci of our project is the usage of social media among disabled, house-bound people. As the profile of Dr. Karamath in Tales from Facebook (Miller 2011), and the story of Amanda Baggs in Digital Anthropology (Ginsburg 2013) suggest, social media, or internet in a broader context, allow disabled people a ‘bigger’ life. For example, allowing people to express themselves better, to communicate with friends more conveniently, and even a gain a ‘second life’. Even though I have encountered people who have disabled relatives in their rural hometowns and heard people talking about disability caused by factory work, so far in my fieldsite I have only met one person who has a slight problem in his left leg. I found that it is difficult to find similar examples of appropriation of digital technology among disabled persons at my field site given that most residents live here for the purpose of working. However, from time to time I witnessed another kind of ‘bound’ situation which is not caused by physical disability among my ‘working class’ informants. I called it ‘work-bound’. WDG, is a local grocery shop keeper in his early 40s. 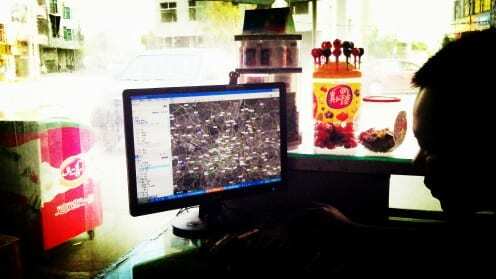 His shop opens from 6:30 am to 10:30pm (16 hours), seven days a week. He cooks in the shop, has three meals in the shop and even sleep in the shop since otherwise thieves will visit during the night. He and his family (his parents, his wife and two children) virtually live in the shop 365 days per year. Even though the rent for his shop is not very expensive (around 2000 pounds per year), he still can’t afford to close the shop for a whole day, so it is open every day of the year. He told me that for 4 years, he only closed the shop once since he needed to send his mother to hospital on that day. WDG is not alone; most shop keepers at my field site see ‘closing shop for holiday’ as a total waste of time and money. WDG is always busy at his shop. People come to post parcels, top-up mobile phone or game points, and buy food and drinks throughout the day. For the purpose of doing business, three years ago WDG installed a desk computer at his shop. Thus, he spends most of everyday sitting in front of his computer. It is curious to note that besides pages for mobile phone and digital game top-up, another ‘always open’ webpage is Google Earth, where he checks different places in the world from time to time. One day, knowing that I study in London, WDG skillfully googled the London map and asked me to show him where I lived in London. He also asked me to show him around UCL campus, and the British museum nearby. The whole family crowded in front of the computer screen to see the Google map of London, or to use their words, to ‘visit’ London. I was just amazed and moved at people’s pure joy that came from the virtual tour of London in their 12 square meter shop which they were confined to 365 days per year, 24 hours per day. Compared with small shop keepers, factory workers have relatively longer ‘off-work’ time. People who work in factories have two days holiday per month. However one cannot take two consecutive days, which means that most of them can’t afford a holiday longer than one day. This month I was invited to join a group of my factory friends’ trip to a nearby sightseeing place. From the field site to that place, high speed train takes four hours for one-way, however ordinary train takes almost 9 hours. Nevertheless, the high speed train ticket costs around 20 pounds more than the ordinary one, so my friends decided to take the slow train without thinking twice. Therefore, they will spend almost 18 hours in transit, and less than 12 hours at the sightseeing attraction. On Saturday, they managed to leave a half day earlier to catch the afternoon train. On the train out, they played cards for almost 9 hours – everyone was so excited about the card playing, even though when they arrived at midnight, everybody was exhausted. The worst thing was in order to save money, they booked a very cheap guest house in a night club district near the train station, and there were stereos blasting in the district until 4 o’clock in the morning. Even though everybody managed to get up at 7 am, no one had enough energy to do any sightseeing for the rest of the day. After cans of redbull, we managed to finish the main sightseeing place in the morning, but after lunch, none were willing to move anymore. Thus, we wisely did a couple of things to kill the rest of our 5 hours in that city – sitting at KFC, staring at our smartphones, uploading photos to QQ and Wechat, and some even played the Wechat online game “tian tian ku pao” while others slept with their heads resting on the table. The communication between people at the site was very limited, it seemed that everybody felt too tired to talk with each other. 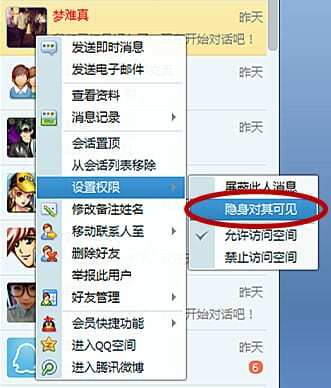 Finally, one remarked, “I have never felt playing QQ and Wechat was a blessing as much as today!” it was a joke which made people laugh. However the fact that my friends came all the way to a sightseeing place to spend a whole uninterrupted afternoon with their smartphones was not a joke at all. Life moved on after the one-day trip, my friends arrived at 6:30 the next morning and had to go straight to work at 7:30am. I checked all of their social media profiles and found that none of them mentioned how tiring the trip really was. Instead, they used beautiful and delightful words to describe how happy they were and how interesting the place was. I felt like going to the place by merely looking at the warm smiles on the beautiful photos, failing to realize that the place we went to together was actually the same place they talked about on their social media profiles. The two ‘trips’ which both took place in November made me to think about the connection and question what digital media means to people in these two trips? It seemed that on the one hand, digital media allows people to experience the world in a way that will never happen without the technology otherwise; on the other hand, digital media have become such a significant and overwhelming part of people’s lives to the degree that people somehow need to reconstruct their offline world through the online world. The digital not only in certain degree freed people from their ‘work-bound’ offline life, but also significantly powered them to construct a much more interesting image of their offline life via social media. Furthermore, I can’t help but wonder what will happen if one day my shop keeper friend WDG finally has the chance to go and visit London, what he will do during his stay in London? Will he still spend a decent time on Google earth or his QQ profile every day given the ‘window’ offered by Google earth has long been the only familiar and unfailing way for him to see the world? Ginsburg, Faye 2013 “Disability in the Digital Age”, in Digital Anthropology 2013. Heather A. Horst & Daniel Miller (ed.) London: Berg. Miller, Daniel 2011. Tales from Facebook. Cambridge: Polity Press. For ethnographers working in the field of material culture, people’s values often ‘unintentionally’ reveal themselves in the tiniest of things. Similarly, a day’s field work may be crystallised by some seemingly random lines, or just a word. On this fieldtrip we both felt that a Chinese place name Jingdezhen (景德镇) on the label of beautiful ancient Chinese ceramics in the Shanghai museum somehow made us think about social media in a different way. Danny’s visit to China started with seeing Tom in the North, followed by Xinyuan in the South, and ended up with a few days in Shanghai (near Xinyuan’s fieldsite). In the Shanghai Museum there are many examples of exquisite and delicate ceramics from one of the most famous pottery making sites in the world: Jingdezhen. As we stood looking a delicate examples from several centuries ago, Xinyuan recalled that some of her factory informants who currently operate forklift trucks also come from this region of inland China. Furthermore, they used to work in these same ceramic workshops that still produce some of the finest ceramics in the country. This led to a discussion. Why would people who had previously been associated with one of the world’s finest artisanal products abandoned that craft in order to operate forklift trucks in a noisy and vast factory. What happened? It is quite understandable that compared to designing, carving, or painting ceramics, making the bodies of the pot itself, which these workers used to do, is not that stimulating and interesting: it was as repetitious as the work on the assembly line in factories. 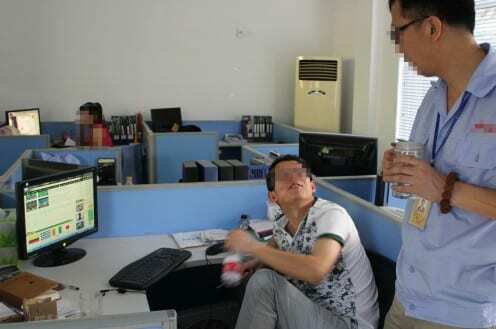 However what makes such remark interesting is Xinyuan’s observation of her factory friends’ daily usage of social media via their smartphones in workplace. Xinyuan knows these drivers especially well because the demand on their work is intermittent, which means they have spare time in the day. Spare time with nothing to do might in turn have meant this was designated as more boring rather than less boring work. During these days they not only chat but also go online through their smartphones. So, in effect, the possession of a phone with social media can reverse the whole concept of work. What was once a sign of boredom as an interlude is now a sign that you can engage in the one thing that is pretty much never seen as boring, which is social media. There is more to this. Social media here is not just defined as less boring because it gives you something to do. 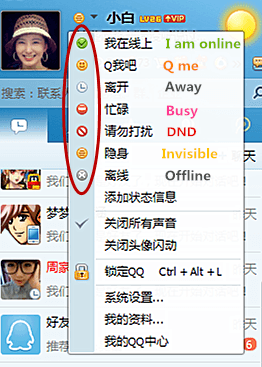 The way QQ operates is rather different from Facebook. It is full of pop-ups, multiple channels, which flow easily between looking up people, watching entertainment, gaming and other pursuits. It is a much more evidently exciting activity than Facebook. The material present there is fast moving, bright and modern. This is crucial to the larger and underlying study. Xinyuan’s study of QQ at this particular site was intended to represent the largest migration in world history of 130 million workers. 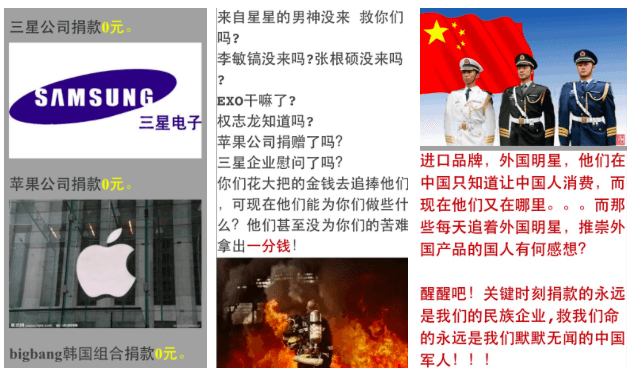 But what Xinyuan has found is actually salaries are not so much greater than in the home lands of these workers and there is employment available to many of them there. Furthemore living in their hometown means greatly reduced costs, so reducing this migration to economic necessities may be quite misleading. It is rather that as people in local shops told us when we were chatting with them, this area, which is much closer to places such as Shanghai, seems more modern, with more potential for interesting lives and exciting times. This in turn leads to one of the key findings about how rural migrants use social media. Xinyuan originally expected that the key would be the ability of social media to help people retain links back to their place of origin and their wider family. The assumption was that like most other migrations, today this was born of poverty and struggle. Having had to leave their family they would want to stay in touch. People do use social media for this purpose, but they are much more clearly orientated to developing connections in this new site. This is, after, all the main reason they have come: to see another ‘world’ and gain new experiences. So social media is much more about the plethora of new contacts and new people they meet. 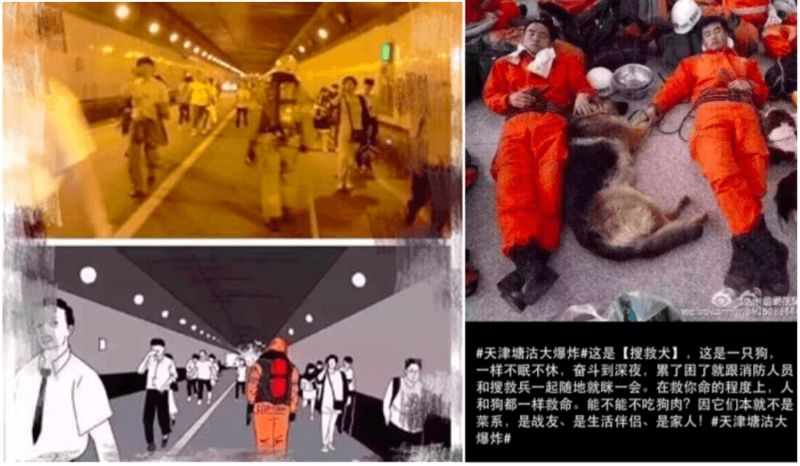 This is why social media so clearly represents that which is not ‘boring’: not the predestined fate of the past, and why QQ places more emphasis on being exciting and not just a place for social connectivity. 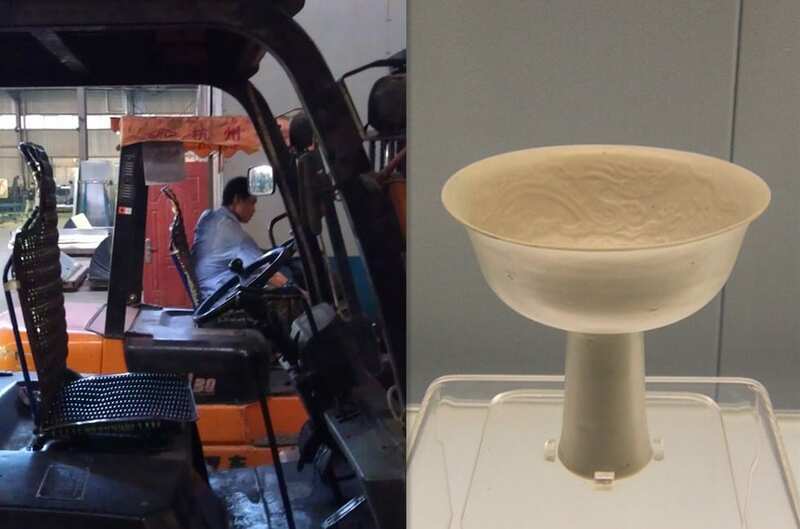 So, ceramics or forklift? Actually, this turns out to be only part of the question. Most of the time people’s choice was not based on the alternative between ceramics or forklift trucks. Rather the key is social media, which represents all the possibility and connectivity which they hope to develop also in their living context. Social media is much more than a technology, just as a place of living is much more than the job you do when living there.